I was watching a show on the end of the world, and what 2017 could mean, and the one guy was talking about “WE”. Saying things like, “Can WE help global warming?”, or “If WE had taken better care of the planet . . . ” or “Global warming is happening because WE let it . . . “. So I am thinking . . . WE? Who the heck is WE anyways? Because it sure the hell isn’t me! There are 7 billion people on the planet, and most of them are not the WE. The WE are the people that make the big decisions for the rest of us. The WE are the dictators. The WE are the politicians and their kickbacks. The WE are the corporations. The WE are the rulers of the various countries and places on the planet. Which adds up to the WE being approximately 6,000 people. Which means that 0.00000087 percent of the population actually has any say!! That is not a WE!! Can we reduce global warming? Of course, but some don’t want too. This WE is a group known mostly to themselves. The WE has every other WE on their speed dial. The WE is not the other 6,899,994,000 people of the planet that are dragging their asses off to work and taking care of their families, so that the other 6,000 can use the planet as their play ground. The same WE that uses your tax dollars to play their games and have their perfect lives. So I say to the universe and God, that if you are thinking of punishing the proverbial WE, your strike-with-a-lightening-bolt list is a mere 6,000, and you can find this list on Google. I’d like to add that the WE are all MEN! China: This country is the epitome of global abuse. Their emissions double that of any other country, and I’m sure they could not care less. This is communism and a male dominated culture at it’s best. Citizens need to wear masks on the streets. Of course, if we didn’t need to watch our money and buy cheap crap from here, they could go out of business. 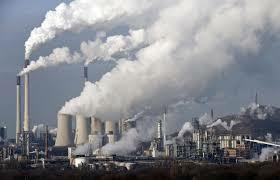 United States: Pushes out half of what China does, making it the second biggest polluter. Kind of a shame since we have everything we need here and the technology to manifest it, like solar. Water pollution and endangered species is also on our environmental bad list. The Obama government was going to cut the emissions, but Trump is here now, hmmm. How to stop global warming? Well, talk to China first. Brazil: Another example of needed economic development with the increase in greenhouse gas emissions to the atmosphere. Add high-speed deforestation of the Amazon region, as well as a good list of endangered species and water pollution. Indonesia: Pulling up the ranks fast to be in the top 5. Due again to deforestation of 40% and increase in industry. 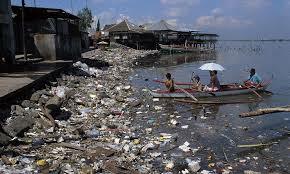 The capital of Jakarta is one of the most polluted cities anywhere, and connecting to one of the most polluted rivers, Citarum. Japan: Not mentioning the nuclear accident incident, Japan is too picking up speed with the emissions and again with industry. Wear a mask if visiting. Honorable mentions include: Russia, India, Germany, Australia and Canada. Most of the emissions that reach the atmosphere come from coal (43%), followed by oil (33%). So, I don’t know about you, but I don’t know any of the leaders of these countries, so I don’t think I can be any help in the proverbial WE of reducing global warming. Here’s one of my lists and ideas on what you could do at home to save some money and the environment. BUT, if you are looking to do your part, which I might add, will save you money and improve your health, check out this easy list of to-do’s. Relating to the article linked above, I draw the line at replacing all your appliances – how does that fit into the recycle, reuse theory? Surely, trashing a working appliance would add to the global warming by adding to the garbage and landfill, metals being transported to a smelter, the smeltering, the transport and shipping of raw-again material to factory (across the globe? ), creating a new appliance, shipping that new appliance to store (back across the globe? ), taking it home. Has anyone calculated that? And a lol moment, the article states to pack a lunch in Tupperware, well that company still uses the nasty PBC’s in their plastic (we’re trying to reduce chemicals here! ).